This plush cloth is great for cleaning, polishing, and wax removal. 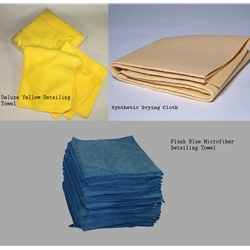 Plush microfiber cloth for cleaning, polishing, and wax removal. This versatyle cloth is what detailers know and love nationwide for drying cars.